Our 100% pass rate for A Levels in 2018 and the fact that 50% of the grades were at A* – A is a true testament to our forward-thinking and innovative approach to learning. A thorough and comprehensive programme includes: university taster courses; lectures; career insight days at companies such as Jaguar, Deloitte and PwC; industry conferences; events facilitated by visiting speakers; workshops on skills required for entering the workplace and guidance on CV compilation, completing application forms and interview preparation. To excel in our rapidly changing world, each girl will need more than examination results alone – we teach the tools and techniques that will enable her to think confidently, think courageously, think ambitiously, think optimistically and think with conviction – equipping her with the necessary skills to face any future challenges with confidence. Our varied pastoral elements engender in our girls altruism and a spiritualism that places high value on positive relationships with others; our girls leave us as compassionate individuals who hold respect for others and are mindful of the needs of communities and the environment. We want every girl to feel happy, secure and valued at school and we work hard to ensure that having fun, taking care of one another and feeling both appreciated and supported are all integral features of daily life at Northwood College. Our girl-centred well-being plans, devised with neuroscience and psychology in mind, form the basis of our outstanding pastoral provision. 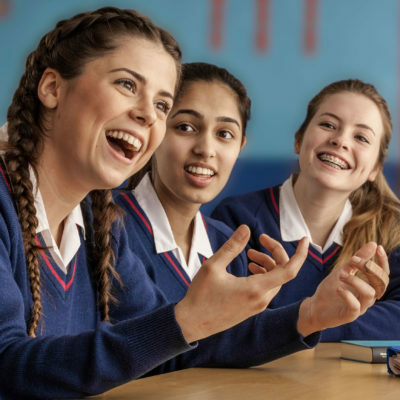 With an outstanding track record in education research, innovation and academic excellence, the GDST is the UK’s largest education charity and provides our girls with the opportunity to participate in a wide range of scholarships, competitions, awards and prizes, as well as benefit from an abundance of GDST learning initiatives, training, seminars and workshops.